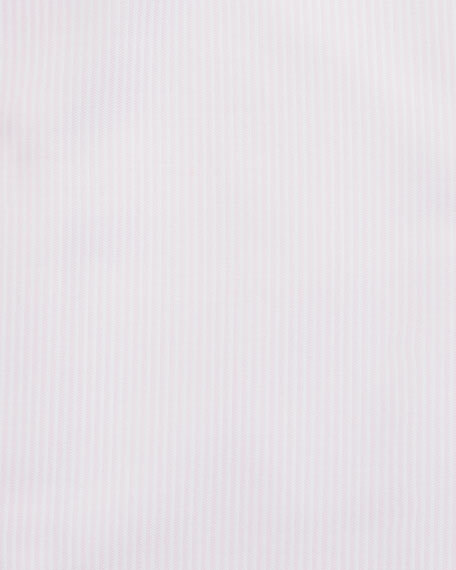 Brioni dress shirt with fine stripes. Eton light blue gingham check dress shirt. High performance, crease-resistant fabric. Moderate spread collar with permanent collar stays. Convertible button cuff to French cuff. Contemporary fit. Darts at the back to adjust the width. Cotton. Machine wash, line dry. Imported. Eton pleated bib front formal shirt. High performance, crease-resistant fabric. Black stud front. French cuff. Moderate spread collar with permanent collar stays. Contemporary fit. Darts at the back to adjust the width. Cotton. Machine wash, line dry. Imported. Please note: Cuff links, shown, are not included. 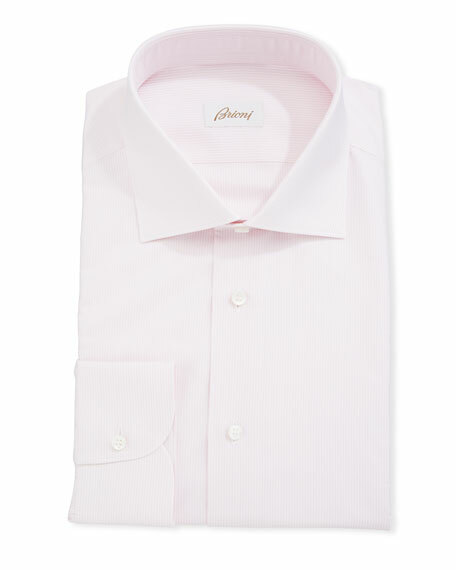 Eton tonal satin striped formal shirt. High performance, crease-resistant fabric. Black stud front. French cuff. Moderate spread collar with permanent collar stay. Contemporary fit. Darts at the back to adjust the width. Cotton. Machine wash, line dry. Imported. Cuff links sold separately. Eton blue bengal stripe dress shirt. High performance, crease-resistant fabric. Moderate spread collar with permanent collar stays. Convertible button cuff to French cuff. Slim fit. Darts at the back to adjust the width. Cotton. Machine wash, line dry. Imported.